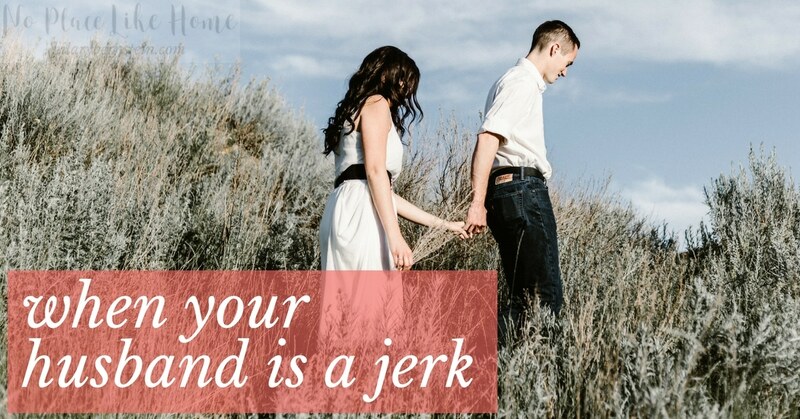 When your husband is a jerk, marriage can feel like an awful punishment. Here’s how to cope. We’ve all met him. A man who is a complete and total jerk. He’s rude and insulting. He’s self-centered and self-absorbed. He’s unfriendly and unkind. When you meet a man like that, don’t you just want to get away? In the sense that you’d rather be anywhere else than in his presence? It’s bad enough to meet a man like that. But when you’re married to him, what in the world are you supposed to do? Before I get any further, I want to make one thing crystal clear: I’m not married to a jerk. In fact, I think my husband is pretty amazing and the polar opposite of a jerk on most days. So I can’t offer any advice in an “I’ve been there, I’ve done that” sort of way. 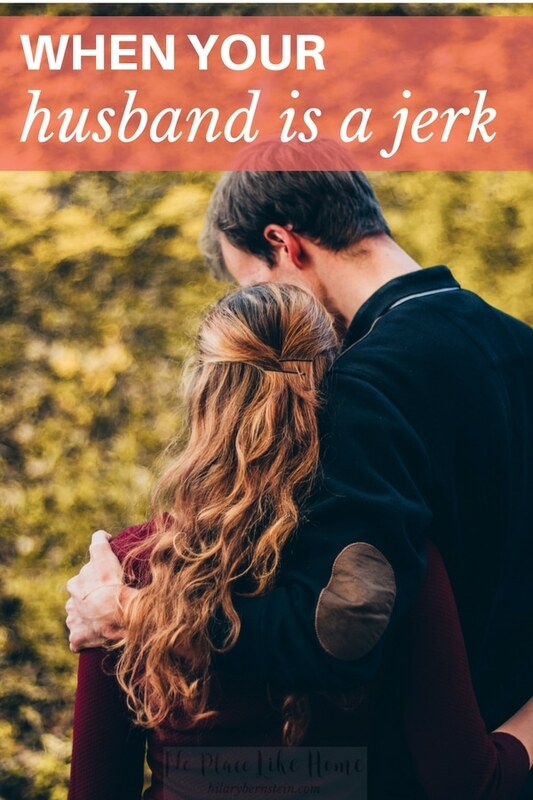 But as we dig into the Bible together, I’d love to give you some encouragement and help you figure out how to deal with a jerky husband – if that’s what you’re faced with right now. And here’s a quick clarification: If your husband is more than a jerk … if he’s abusive or unfaithful, please seek professional help immediately. Depending on the day, your answer may be yes – or it may be no. The reality, though, is that life doesn’t come with do-overs. And in marriage, you make vows to protect yourself – and your spouse – from the temptation to quit it all. Because life is hard. And marriage is hard. But marriage is good, especially as you work through the hard times together. When you’re in the middle of hard times and wake up and wish you could turn back time just to make a different choice, it’s important to stop yourself and remember your vows. You made them to God, to your husband, to yourself, and quite possibly a room full of people. To be a woman of your word, you need to keep those vows. And remember – your vows probably included something along the lines of “for better, for worse.” You didn’t vow to stay faithfully married only in good times when it felt comfortable and was convenient for you. While so much joy comes in good times, you’re in this for the long haul – when times are good and when times are bad. When your husband is amazing, and when he’s a jerk. While you remember your vows, it’s vital to remember that you, in fact, do have your own flaws. As much as you’d love to think you’re the picture of perfection, you’re not. Before we, as wives, get all high and mighty over our husbands, we need to stop ourselves and look at what’s wrong with us. What are the logs in our own eyes? Let’s focus on our own sins and weaknesses first before pointing an accusatory finger at our husbands. Stop and ask God to search us. Let our hearts be known. And mercifully, He’ll gently reveal our own shortcoming and sins. In this process, you may need to ask your husband for forgiveness. While this may feel like the last thing you want to do, it’s important to do it. Even after we’ve come to terms with our own weaknesses, our problem hasn’t vanished. You still may be less than thrilled with the thought of being married to your husband. The solution I offer is the only solution I can offer with great faith and confidence: you have to pray for your husband. And yourself. Night and day, whenever those niggling thoughts rear their ugly head that tempt you to cut and run, pray for your husband and your marriage. Cry out to God. Tell Him you think your hubby’s a jerk. Beg for help. Plead for a change. Ask for guidance. Keep praying, and praying, and praying. Let this opportunity that seems oh so unfair and wrong turn into a time you draw closer to God in prayer. When you’re tempted to snap back at your husband or vent to other women about how awful your man is, don’t. Pray instead. And as you pray, trust God for His power to answer your prayers. Release your husband and your marriage to the Lord’s will. His answer may be different than you imagine or expect. His timing may not be your timing. But He hears your prayers and He is working, even if you don’t see it or feel it at first. Keep praying and trusting God, and ever so slowly you’ll begin to notice a difference. As you examine yourself, cry out to God in prayer, and trust Him for any change, it’s important that you keep on keeping on as a wife. Treat your husband with kindness, even if you’re sure he doesn’t deserve it. Ultimately, you’ll both end up answering to the Lord for what you did and said in your marriage. 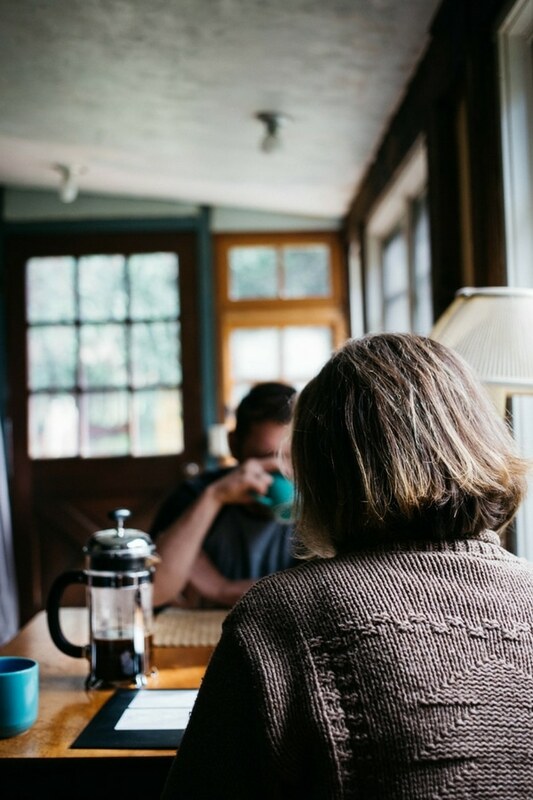 You already know you can’t control what your husband does or says – but you can control your own actions and words. Be known as the wife who does good. The wife who seeks and pursues peace. As you turn your attention to doing this, you’ll please the Lord. And when all of your focus is pleasing the Lord, all of your husband’s jerkiness will fade into the background. He’ll hopefully become a changed man somewhere in the process, but miraculously, it won’t even matter to you anymore, because your sole focus will be on pleasing and glorifying God. And that’s exactly where it should be for any lasting peace and joy. Need help trying to understand your husband better? Click here to take my FREE 7 Days to Understanding Your Husband Better Challenge! Disclaimer: I am a professional journalist, not a professional counselor or therapist. If you’re seeking help with your marriage, please consult a professional. And if you’re in an abusive relationship, seek help immediately. 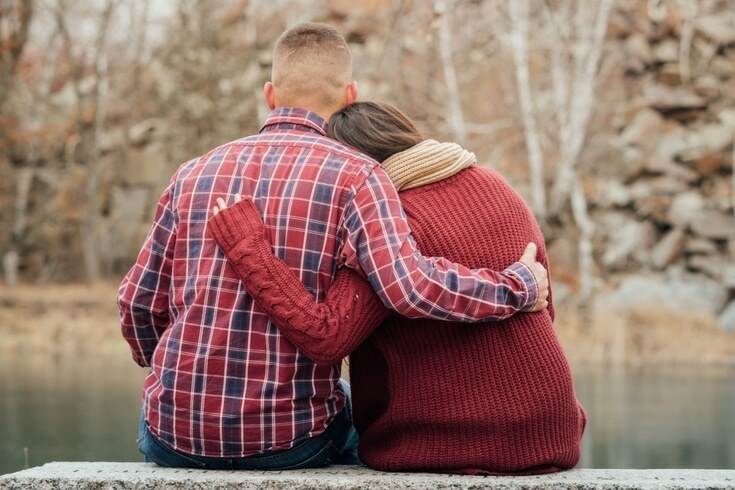 « What Can Kindness Do In Your Marriage?